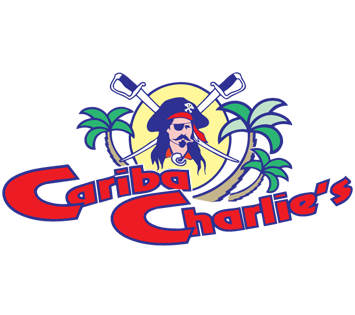 Join us at Cariba Charlie’s, where great gaming, fun and friends come together with a Caribbean atmosphere. A guaranteed “good time” each visit, making sure to offer you the best local service. And if it’s gaming you’re into, we’ll keep you entertained and help you win big bucks with our Becker Gaming Player’s Card. So, sign up so you can use your card while playing to earn points for cash and merchandise. It also allows you to participate in all bar promotions to win even more cash and prizes. We have great food, with Island Kafé Mexican American Restaurant. Chicken mushroom, Swiss & avo on a toasted bun w/ onions rings! Superbly done Chef Chris! Coming back on wk days to have your food! My buddy Scorch ( the scary fire breathing clown on the billboards) told me I had to eat there, & well once my friends saw him up there & found out I actually knew that guy they said We gotta go there!!! ( He wasn’t there but they got to have dinner with him the next night!) The ribs were DELICIOUS I ate the whole rack. Drinks were good & the girls said their meals were good too! Was not loud & noisy for a Saturday night either! Go eat those ribs & wave to Scorch on the billboard when you go by! !